TSG 1899 Hoffenheim will be looking for their first win of the new campaign as they welcome VfL Wolfsburg to the Rhein Necker Arena on Saturday (kick-off 15:30 CEST / 13:30 GMT). Have you got what it takes to succeed in our Official Fantasy Bundesliga? Find out here! Hoffenheim are the only Bundesliga team to have drawn their first two games of the new season, but Julian Nagelsmann’s side will be happy to have snatched an improbable point against 1. FSV Mainz 05 last time out. Trailing 4-1 at half-time, Hoffenheim fought back to 4-4 in a spectacular contest after Gaëtan Bussmann was sent off for the 05ers. For more on the game head to the Match Centre. There was a little less drama for Wolfsburg as they played out a goalless draw with 1. FC Köln. 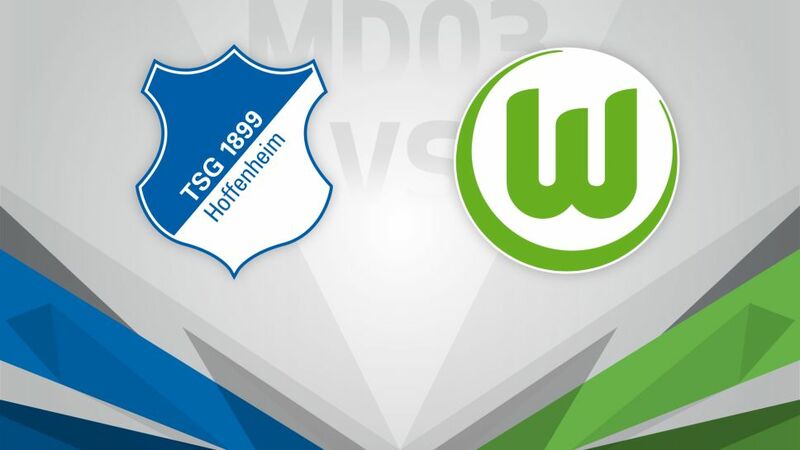 Mario Gomez was unable to find the target on his debut for the Wolves, but he will be looking to put that right against Hoffenheim, as Dieter Hecking’s men bid for a second win in three – following their opening day victory over Augsburg.